Revisit the incredible universe of Dark Souls, fully remastered with a suite of visual upgrades and improved performance. Experience once again Hidetaka Miyazaki’s critically-acclaimed and genre-defining Dark Souls – an uncompromising, dark-fantasy action-adventure. 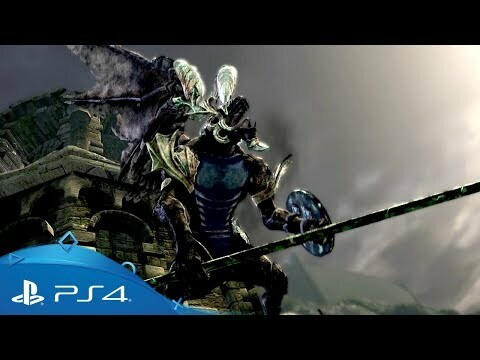 Return to the beautifully-remastered land of Lordran and explore its towering medieval architecture and blighted slums in stunning high-definition (including dynamic 4K support on PS4 Pro). 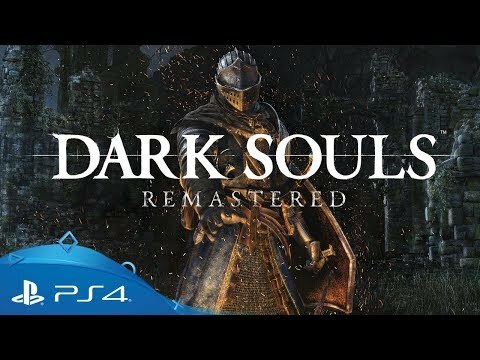 Dark Souls Remastered includes the original main game along with Artorias of the Abyss, a post-launch expansion featuring new areas, bosses and story content. Delve into a brooding, dark-fantasy universe stricken by decline and curse. Explore intricate, carefully-crafted environments filled with hidden passages, secret dungeons and special items to discover. Discover fresh challenges and unexpected new facets to the game each time you replay it. It’s rare you’ll see everything on a single play-through, so don’t bet on completing the game only once. Finely tune your abilities and strengths as you progress and experiment with hundreds of unique combinations of weaponry, armour, magic and crafting options to create a character that perfectly matches your playstyle. Whatever your motivations are to play online – collaboration or confrontation, support or betrayal – you’ll find a true home among the nine covenants. Which allegiance will you choose? That’s up to you, Undead. Slaughter unimaginable beasts in the blighted city of Yharnam as you search for a way to end your nightmares. Explore the crumbling kingdom of Drangleic in Dark Souls II's remaster. Find a way to link the fire and destroy the Lords of Cinder in the Dark Souls trilogy’s magnificent finale. Buy Dark Souls: Remastered on PS4. Team up to bring down colossal bosses or face-off against invading adversaries with up to six players online - all you need is PlayStation Plus.